Edwardian Style Architecture with a great amount of living space and loads of character in West Oakville. This home is a unique blend of the charm of yesteryear and many of the features you would expect of a newer home. It has high ceilings, big rooms, big windows, 5 generous bedrooms including a huge master bedroom retreat with 2 closets and 5 piece en suite. Beautiful wood floors, doors and thick trim throughout. 2 gas fireplaces. Double car garage and circular double drive. 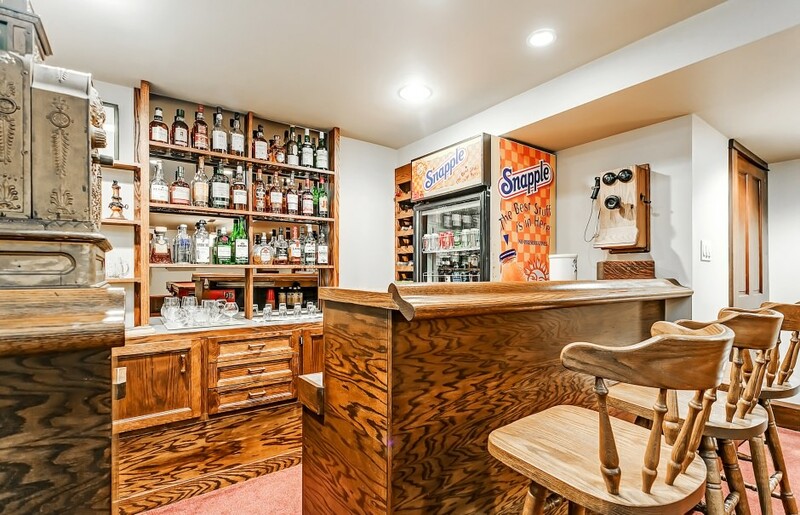 Fun finished basement with wet bar and sauna. On ground pool and hot tub. Very solid and cared for home. New roof and furnace. Newer A/C. Exterior recently painted. 200 amp panel. Impeccably preserved original elements. There is great value here with a large lot, a home of close to 3000 square feet with double car garage and a detached structure out back that is an ideal office/studio/workshop or garage. Take your time browsing the home as there are lots of interesting details adding to the charming atmosphere.